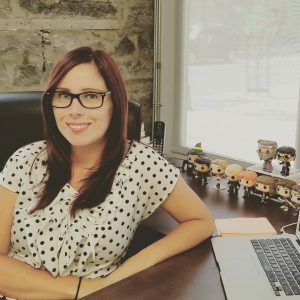 Born and raised in Ottawa, Stephanie started with the film office in 2011 as an administrative assistant with what was then the Ottawa-Gatineau Film and Television Development Corporation. Shortly after, she took over film permitting, coordinating all public filming in Ottawa and Gatineau while simultaneously trying to build and enhance the office’s social media and web presence. With the addition of Jennifer to the film office team in 2017, Stephanie has since been able to primarily concentrate on marketing and communications, from blogging and social media, to media relations and publishing the monthly newsletter (and more). Have an event or production you’d like to promote, or an idea for a blog post? Contact Stephanie, en français ou en anglais, at [email protected] (she’s also always a DM away)! Stephanie obtained a Bachelor of Social Sciences from the University of Ottawa where she had the opportunity to study abroad in Granada, Spain. A few years ago, she obtained a graduate certificate in public relations from Ryerson University. In her spare time, Stephanie likes to travel, watch TV, practice yoga, and spend time with her family and four-year-old Terrier mix, Vito.